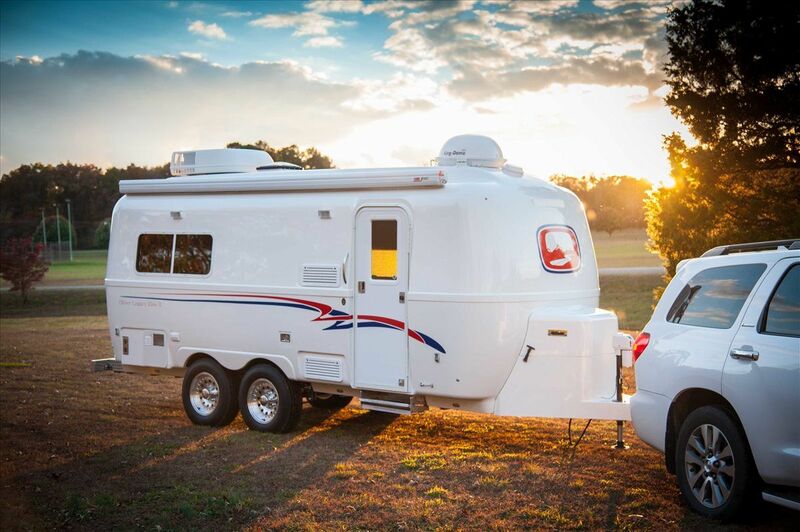 What comes to your mind when thinking of a perfect RV campground? Some people like the green nature and wilderness while others find comfort in a tradition campsite. But, if your preference lies in kisses of the sun, ripples of water, and sand, you will find this list of best waterfront RV campgrounds highly intriguing. Featuring beachfront RV parks and sites, the list includes some of the gems of RV campgrounds across the country. It also includes some RV resorts on the beach complete with concierge service, spa facility, fine dining, and other luxuriant amenities. Disclaimer: The list does not maintain any specific order. 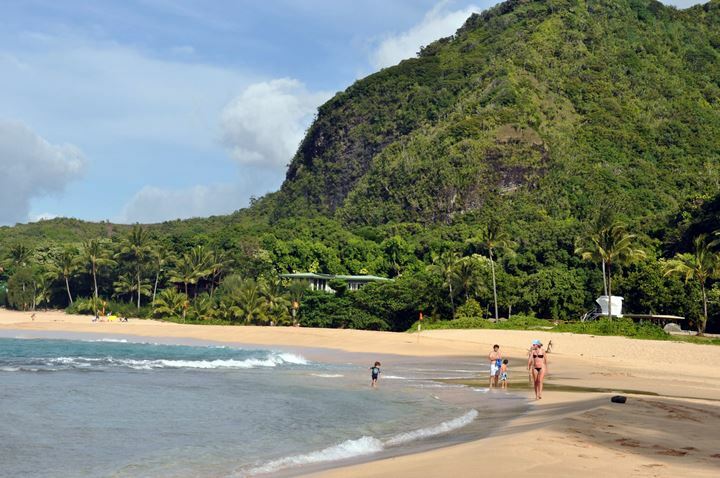 If you are looking for RV parks on the beach at a bargain price, the Haena Beach Park is a steal of a deal. Out-of-state campers have to pay only $3/night for pitching a tent. Located at the edge of the famous Na Pali coast, the park offers access to a forest, golden sand beach, stunning ocean views, and an array of water activities. The nearby Tunnels Beach is a safer option if you want to swim or snorkel. You can also surf and join kayak tours (on availability). 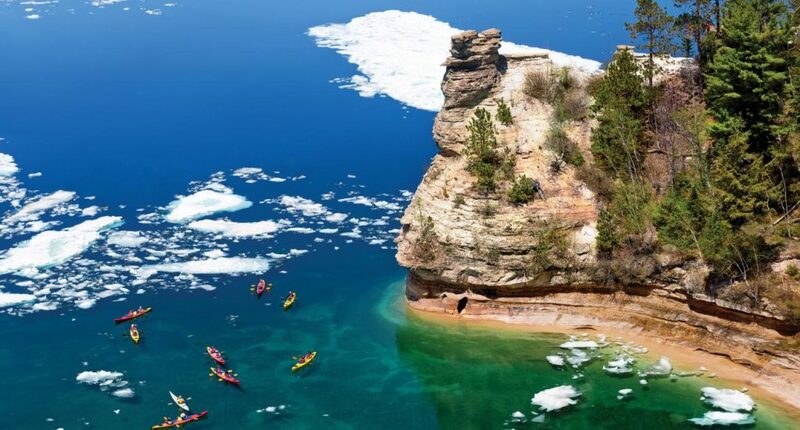 The sandstone cliff and a 42-mile scenic trail around the rocks risen above the Lake Superior are two of the main attractions. You can choose to hike, camp, go sailing, or just roam around and enjoy the stunning natural views. Different seasons shape the beauty of the park in unique ways. All the campgrounds there are rustic and tranquil. As the lake’s water is chilly year-round, all of them have solar-powered wells for the campers. Want to explore the authentic Southern charm and favorable year-round weather amid lavish amenities? 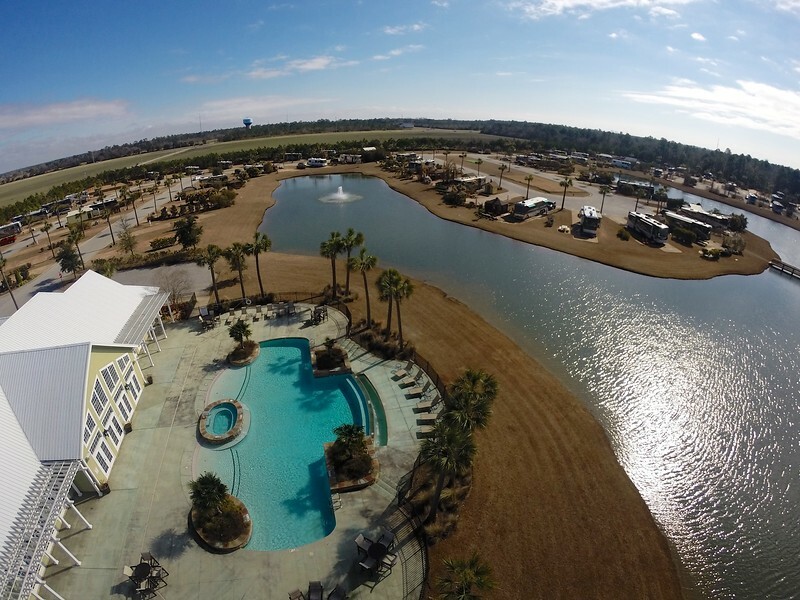 Go to the Bella Terra RV Resort in Foley, Alabama. Just minutes from the white-sand beaches of Alabama’s Gulf Coast, it has nice landscape, good amenities, and friendly staff. Camping in the community will give you access to a 6,000 sq. ft. clubhouse, movie theater, gym, infinity pool, a stocked lake full of fishing, and more. You will also get to see wildlife views like rabbits, ducks, and birds. Your rig has to be less than 15 years old and minimum 32-foot long because it is a Class A community. 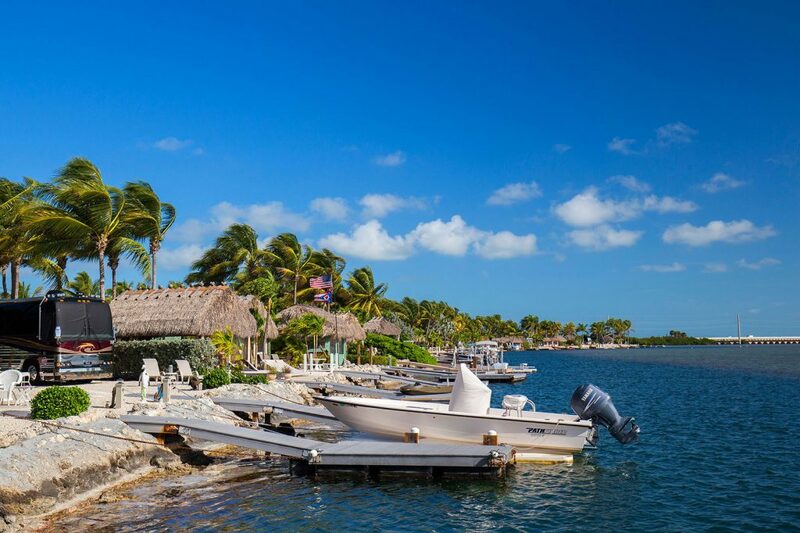 Bluewater Key is a genuinely beautiful and can be regarded one of the best waterfront RV campgrounds. If you are dreaming of a Florida vacation packed with boating, fishing, swimming, and other water activities, choose the resort. There are tiki huts in the campgrounds and private docks in the waterfront lots. The lots are privately owned but available for rent when not in use. Your RV must be a motorhome as the resort does not allow any trailer. There is no shortage of Florida RV parks on the beach where you can lie on the beach blanket, watch the sunset, and take part in fun water activities. Campgrounds on the ocean already sound dreamy, and it is even better if it happens to be a famed surfing spot in Florida. Situated right off A1A – the Florida State Road running along the Atlantic Ocean, from Key West to Fernandina Beach – the park spreads both sides of Sebastian Inlet. The south part has the camping ground while the north side is the fishing and surfing zone. 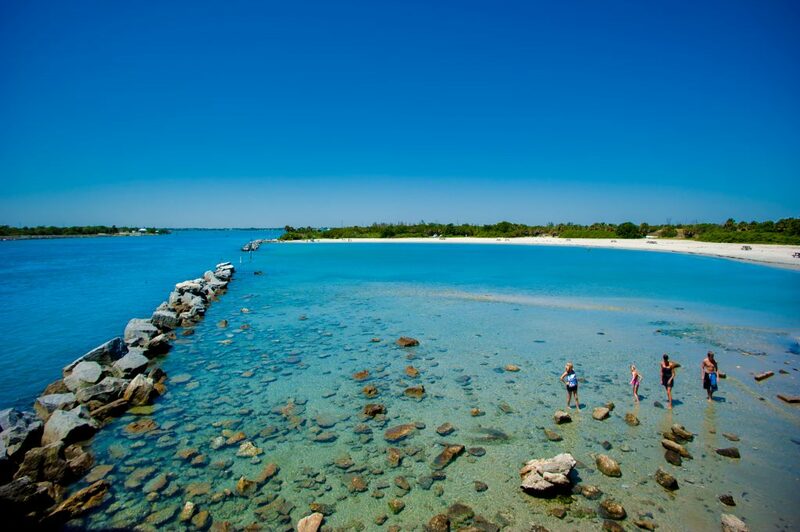 There are beautiful beaches and enjoy unlimited fishing and kayaking in the Indian River Lagoon. The park undoubtedly offers one of the best waterfront RV campgrounds in the country. It is not your usual waterfront RV site and that’s what makes it the most exciting. The park is the state’s smallest but the rich glacial landscape offers numerous possibilities. The crown jewel of the park is Harding Icefield – a one-mile thick icy area covering nearly 714 square miles. 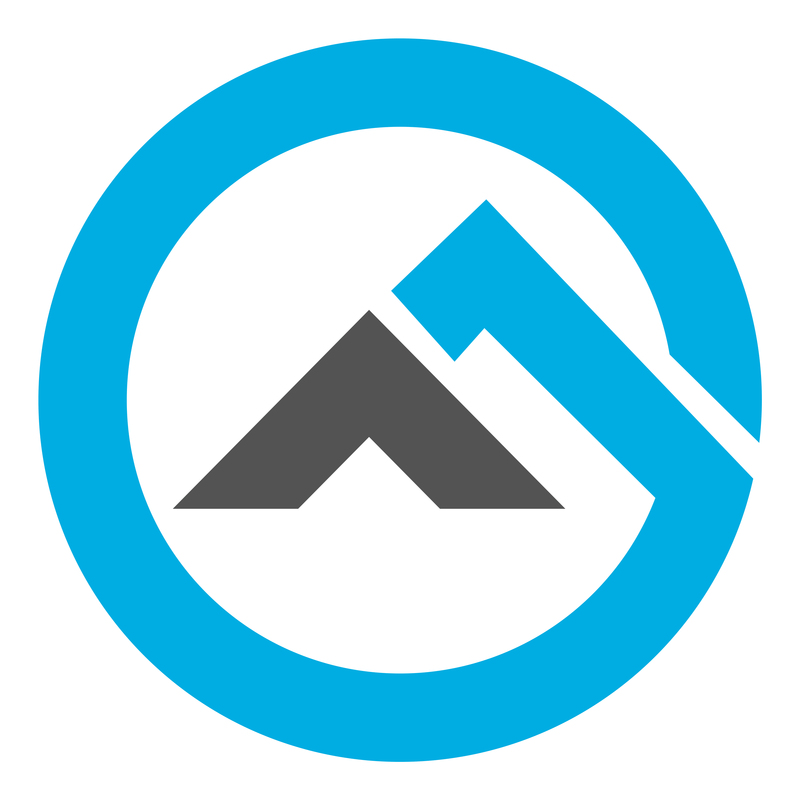 It sustains almost three dozens of glaciers flowing out of the mountains. 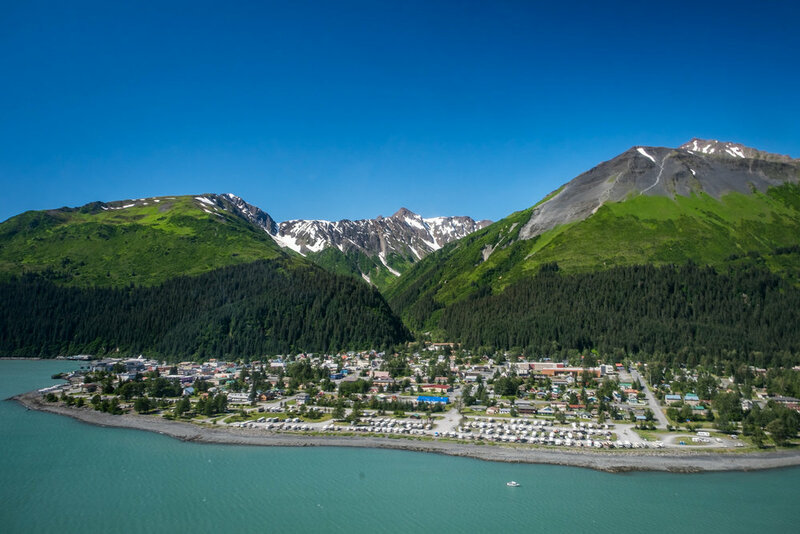 Apart from the beautiful landscape, you can enjoy the wildlife views, go for kayaking, or take a dramatic day hike in the Harding Icefield Trail. Looking for RV sites on the beach in California? 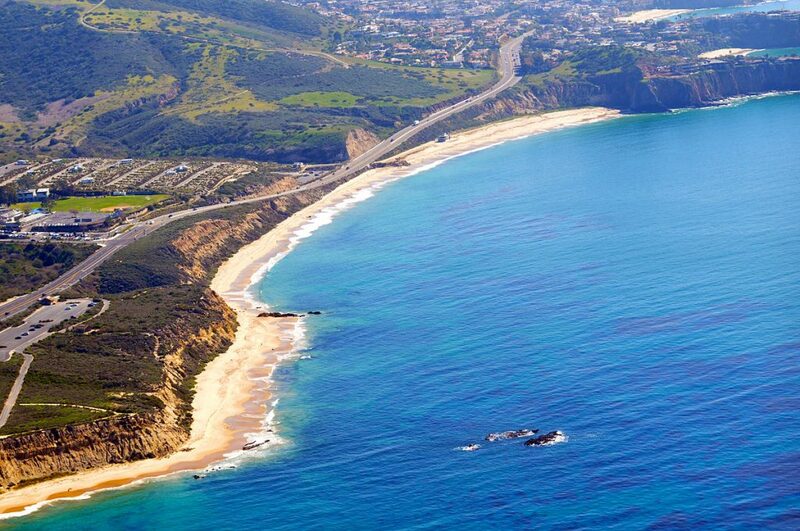 The Crystal Cove State Park welcomes you with sandy beaches of the Pacific Ocean. There is an underwater park for the scuba divers and snorkelers to explore. Others can have fun in the tide pools on the beach and two sandy coves. Landlubbers can go to the golf courses or the long hiking and biking trails in the El Moro Preserve. Some of the campsites there allow RVs up to 35 feet while others accept only pop-up campers and tents. 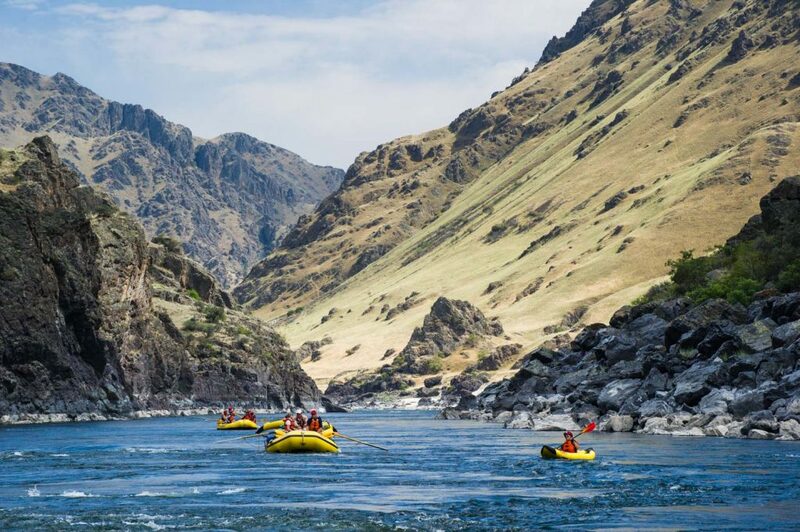 The campsite definitely deserves a spot in this list of best waterfront RV campgrounds with its scenic surroundings on the bank of the Salmon River. 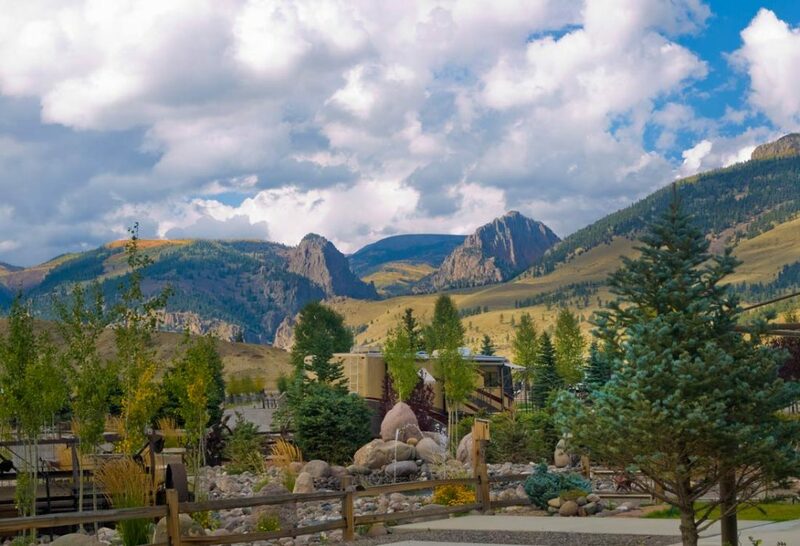 You will live amid sagebrush and lodgepole pines while having fun with the activities like biking, hiking, horseback riding. The high mountain lakes bring up the opportunities of rafting and fishing. Excitement bundles up in the forms of skiing and snowmobiling in the winter. 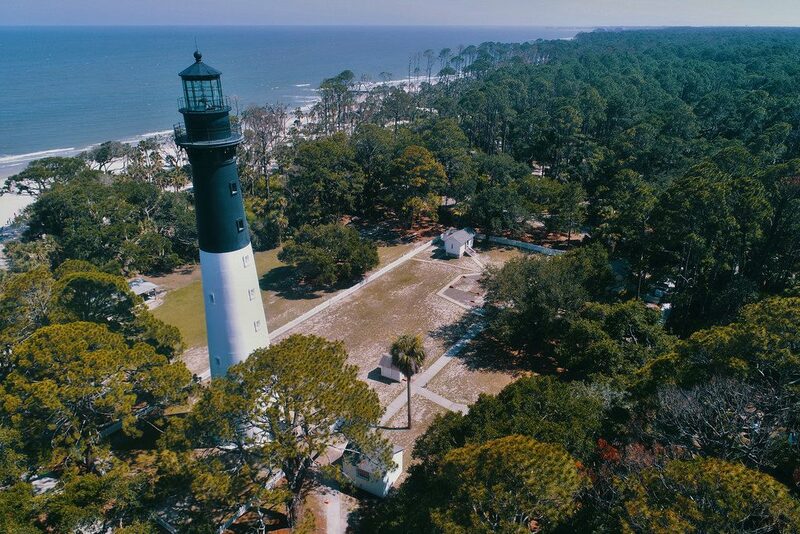 Whoever lives in the southeastern part of the country and craving for RV camping on the beach, this park can be a great choice. It is home to some of the most picturesque beaches in South Carolina. The wonderland of wildlife and greenery was once a hunting preserve. Allowing to dock up maximum 40-foot RVs, the campsites offer electric hook-ups, hot showers, water, modern toilets, and other facilities. 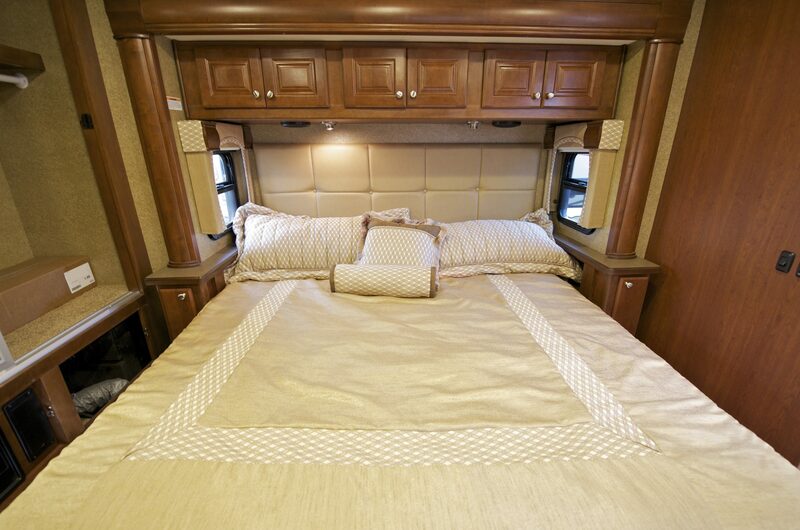 The resort is one of the best waterfront RV campgrounds in terms of luxury. Located right along the Rio Grande River, the campground is open from May to October. It offers a calendar full of activities including stocked finishing ponds and fly-fishing. The spectacular surrounding views are a bonus.